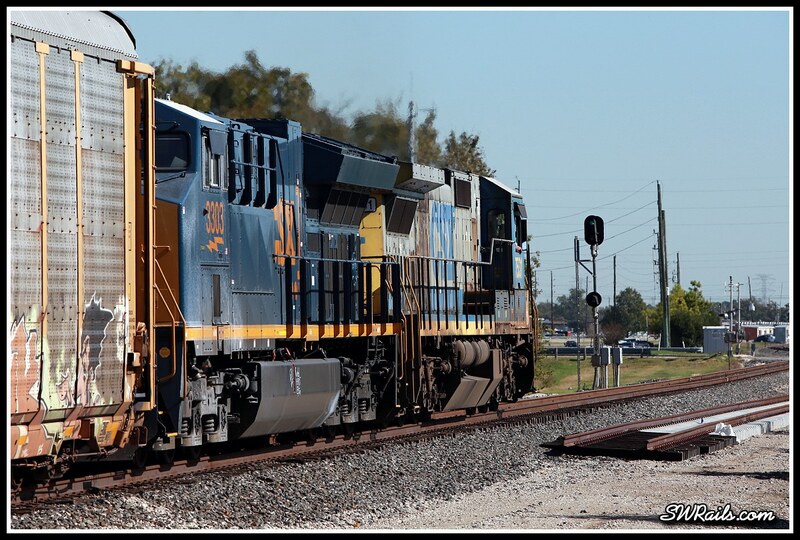 I got out this past Thursday, 11/19/15, to take advantage of some fine weather. There was a decent amount of traffic which I’ll cover at a later date, but I wanted to share the highlight of the day. I was waiting for the second of two eastbounds at my usual location, MP 20.6, in Stafford. 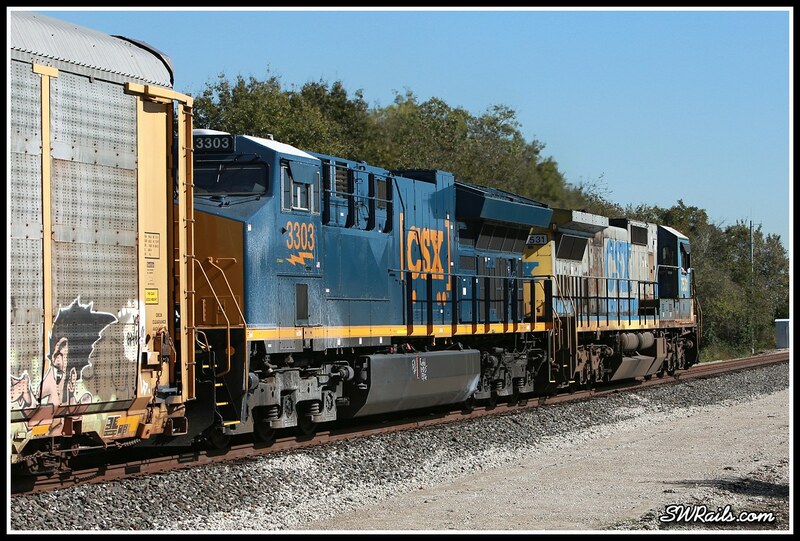 I hadn’t heard any radio traffic to clue me in to its identity until it was but a few minutes away when I hear the DS call the MKBHO-18 (manifest Kirby-Houston), CSXT 7531 East. Hot Dayum! I’m always in the mood for a standard-cab leader! Within a few minutes, it comes into view. To the extent it was a beautiful day, I don’t think the engineer minded the lack of A/C. As the trailing unit passed me, I noticed that it seemed to be fairly new. Being occupied with image capture, I didn’t grasp exactly what I was witnessing. 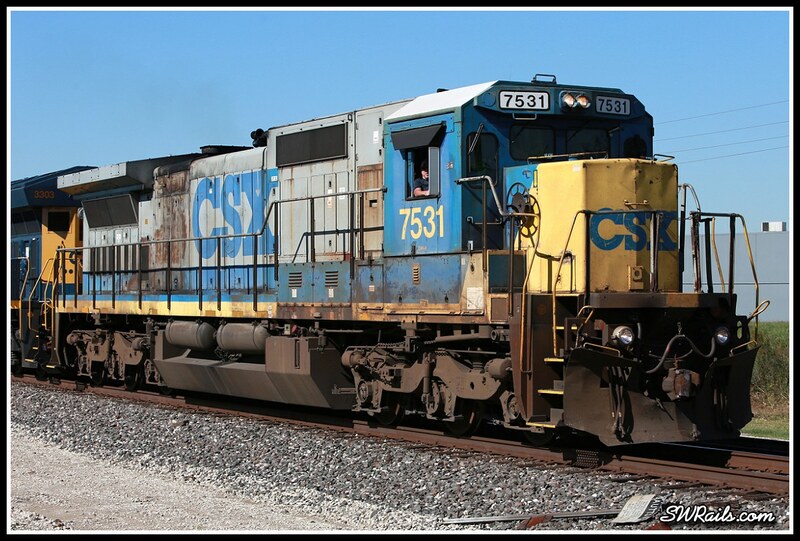 Unbeknownst to me as I was snapping away was that this consist was made up of one of the oldest and one of the newest GE locomotives in Class 1 service in the U.S. Lead unit 7531, a 6/89 vintage C40-8, is over 26 years older than trailing unit CSXT 3304, a 9/2015-built ET44AH. It’s one of the first production Tier-4 units. I found it fitting that the old dog was leading the young pup, as if a gesture of respect from a unit just beginning its career to one that’s running out its last miles. In doing the research to prepare this post, I came across a shot of this consist taken less than a week prior, but the roles were reversed. 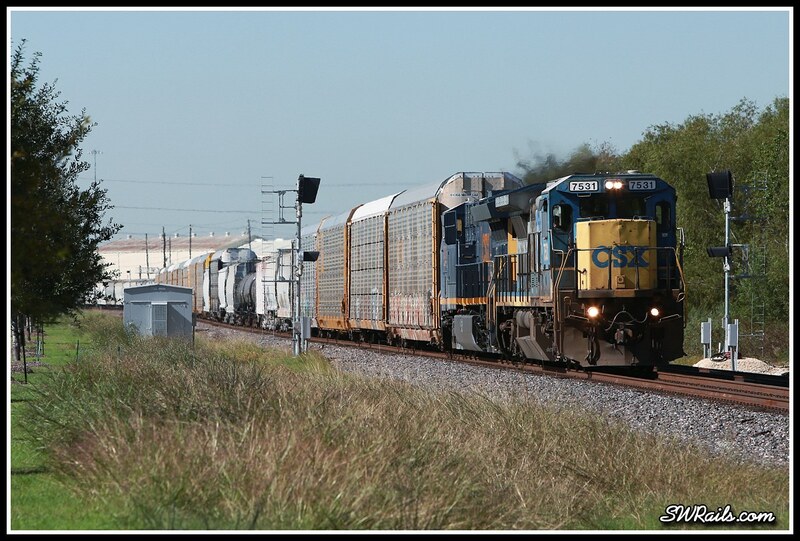 Matthew Griffin captured it on empty auto rack train AMLSJR (Auto Mira Loma,TX-San Jose,TX) at Banning, CA on 11/13/15. San Jose is UP’s designation for the Toyota Tundra assembly plant just south of San Antonio. 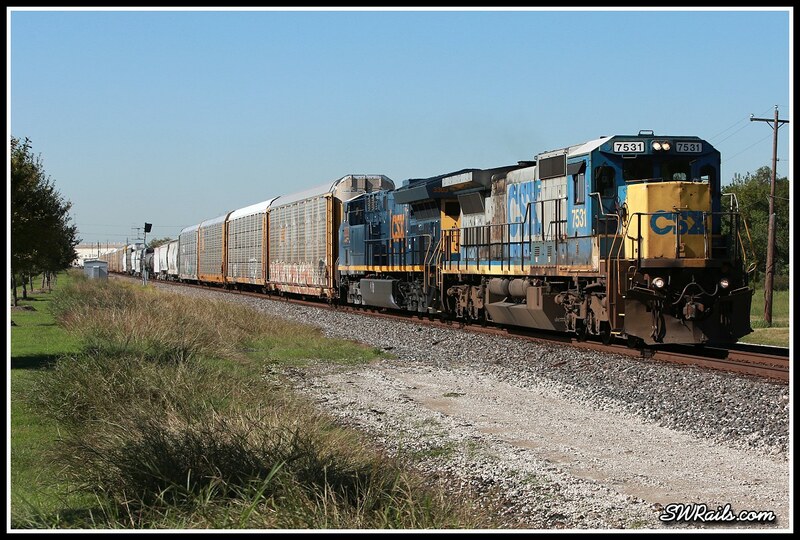 The consist got switched around, probably at San Antonio, before being assigned to the MKBHO on the 18th. Regardless of their sequence, it’s exceeding rare to see a lash-up of GE’s spanning over 25 years between them. When you consider how few Tier-4 units and how few C40-8’s are in service, it qualifies as a consist not likely to be repeated. Even at 26, that paint scheme still says “real railroad”, and even faded and rusty looks better than the Dark Futures scheme. Maybe the switcheroo in the last photos has a bit to do with crew preference for AC. Rare catch indeed, Robert. I’m assuming where you said San Jose, TX you meant San Jose, CA?